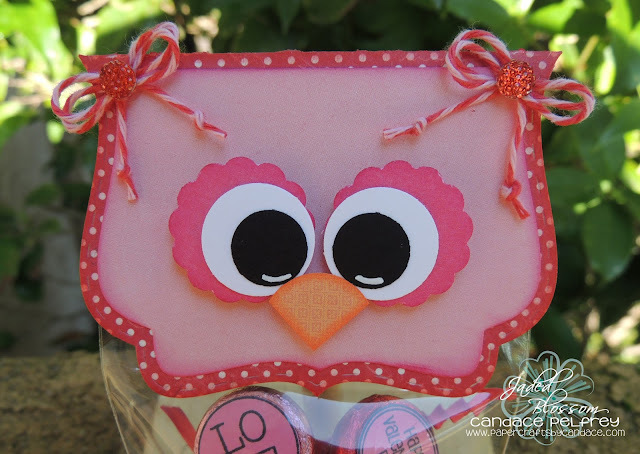 Today I am sharing with you a revamp of a creation I shared with you last year. Every once in awhile I like to check out whats being pinned on Pinterest from my blog. 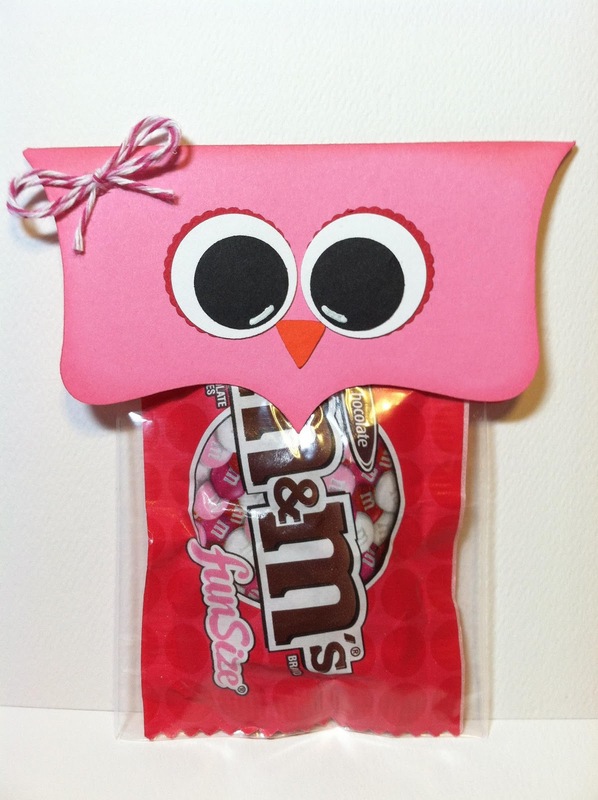 I found out that one of the Valentine projects I made last year was being pinned A LOT! And man.. was I embarrassed when I saw that. I KNEW I could recreate it MUCH cuter. 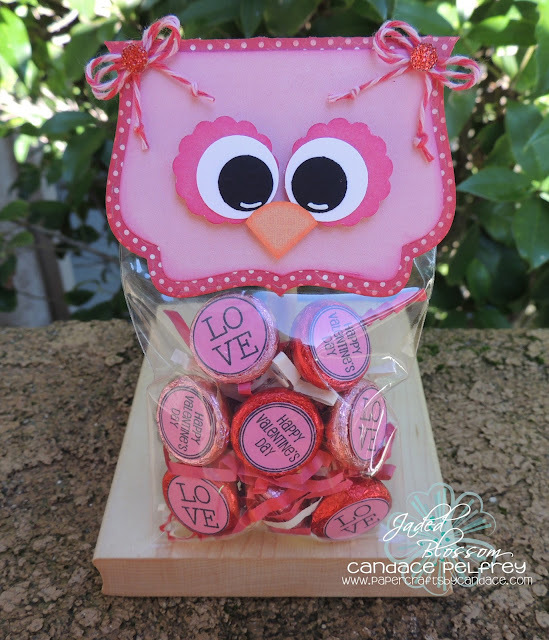 So anyways, don't laugh but here is LAST YEARS Owl project..
NOW.. on to my NEW version that I created with Jaded Blossom's Fancy Topper Die! I LOVE this die! 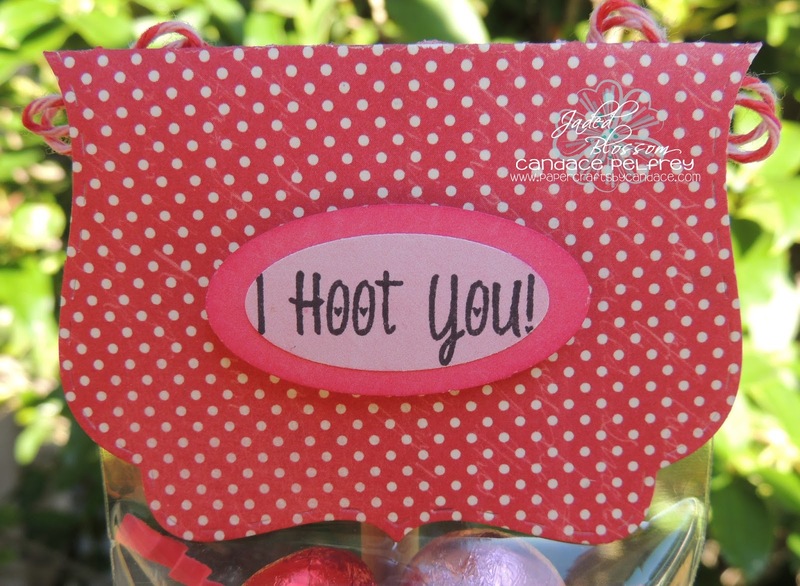 It makes it sooo easy to create cute toppers! Here is a close up.. I used a 1 inch scallop circle, 3/4th inch circle (white) and a 1/2 inch circle (black). For the bows I used Trendy Twine's "Valentine Cherry Cupcake" and then added gems in the center. Now for what's in the bag. I used Jaded Blossom's 3x4 Inch clear bags. Inside are Valentine hershey kisses. 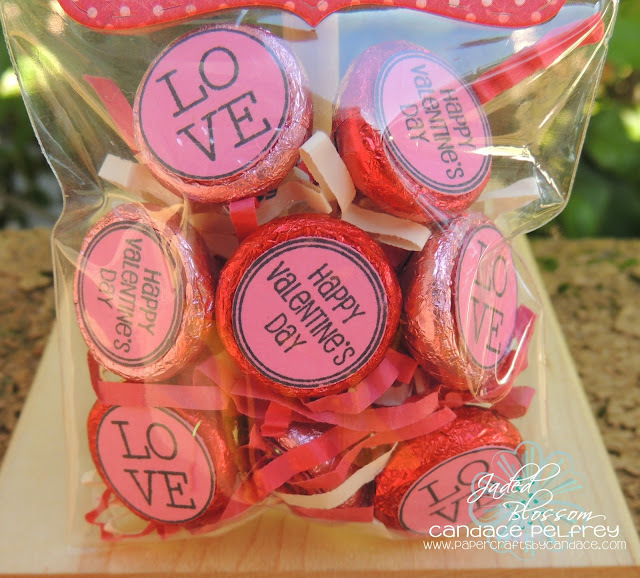 I used Jaded Blossom's "Valentine Candies" stamps, punched them out with a 3/4th inch circle punch and glued them to the bottom of the kisses. And on the back I used Jaded Blossom's "I Hoot You" stamp set and then punched the sentiment out and pop dotted it. so adorable Candace!! LOVE both but the revamped....AWESOME w/your topper die!!! Love the new one!!! So cute! This is so cute! I like both but what a difference the fancy topper die makes. your silly they are both awesome!!!! Both versions are soooo cute! Thanks for sharing! The older one is more my speed as I'm not so crafty. My first graders will love it anyhow. Thanks! Both are Absolutely Adorable! I'm excited to make one of them! Just ordered the stamps...so as soon as they come, I'm on my way! Thank you! I love both versions!! They are soooo cute! Great job.